We've got the whole thing here. When Teresa Mannion woke up this morning, it is highly unlikely that she had even the faintest inkling she'd be going to sleep tonight as a folk hero of Ireland's brush with Storm Desmond. 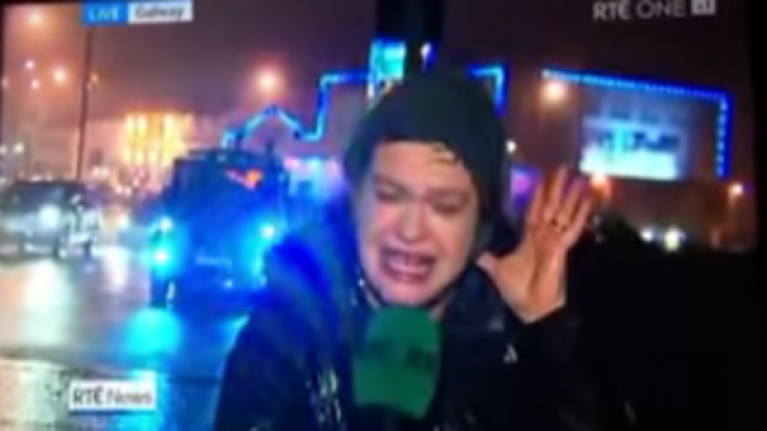 The RTÉ reporter braved the wind and rain to deliver a report in the most dire of conditions and the results were, well, you can watch the whole thing here on our YouTube channel. "Don't make unnecessary journeys, don't take risks on treacherous roads and don't swim in the sea." She's guaranteed her place in the 2016 edition of Reeling in the Years, that's for sure.